GGI provides full-service, in-house custom fabrication of a market-leading range of decorative, specialty and float glass for architecture and interior design applications. 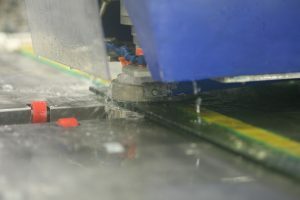 We expertly handle any type of glass, of almost any size, including oversized, up to ¾” thick. Highlights of our offering include back-painted, tempered and laminated glass, a wide range of proprietary patterns, and Alice® direct-to-glass digital ceramic printing powered by Dip-Tech. With our 120,000 sqft state-of-the-art production plant and state-of-the-art equipment, we excel in providing large-company capabilities with small-company dedication to service. Every piece of glass is fabricated precisely to our customers’ specifications, and delivered with the shortest possible lead times, on time. We are fully committed to the success of our customers’ projects, and bring a can-do attitude to every aspect of our work. As a proven partner with 100+ years of experience in custom fabrication, our customers know they can depend on GGI, from first cut, all the way to delivery. Consistent, high quality – Get the highest-quality glass products, with every piece fabricated precisely to your specifications. Wide product range – Access a market-leading range of decorative, specialty and float glass products for architecture and interior design. The lead times you need – Get the glass solutions you need, with the shortest-possible lead times – delivered on time. Full-service partner – Depend on a proven partner that provides a complete custom glass fabrication service all the way to delivery.